There are clear indications that climate change is finally emerging as a critical election issue. As reiterated by those who participated in the first Democratic Presidential debate, most of the candidates have plans to manage the climate crisis. It is not hyperbole to suggest that this may be the most important election in American history. We are rapidly running out of time to get a handle on the climate issue. If we are to succeed in staving off the worst impacts of climate change, we must act and we must act now. 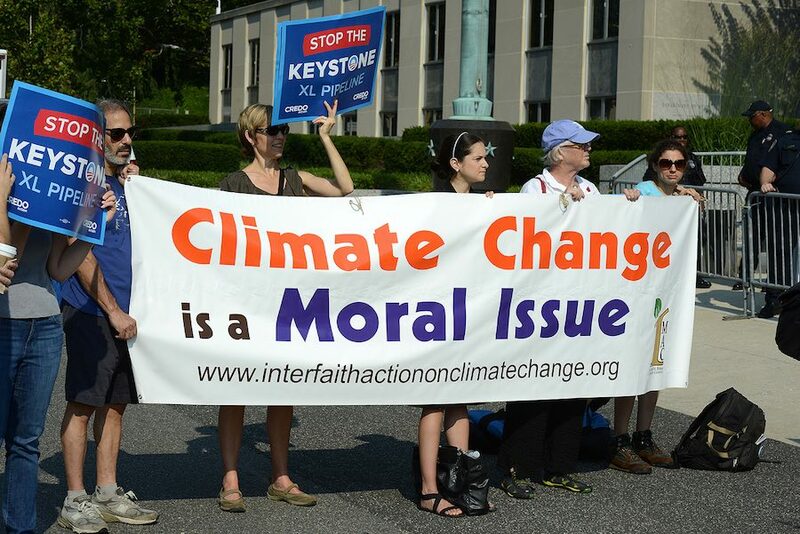 Climate action is also an important issue for Democrats who want to benefit from the deep pockets of Tom Steyer. He spent $74 million on political races in 2014 and to earn his support in 2016, candidates must pledge to generate half of the nation’s electricity from clean sources by 2030, and 100 percent by 2050 (so far only O’Malley meets these criteria). Climate change is also an important wedge issue for the Democrats, as it exposes Republican policy vulnerability. If climate change emerges as a key issue for Republican voters, the GOP’s hopes to win the white house are in serious jeopardy. This is a more serious ballot box issue than it has been in the past. It is widely known that the majority of Democratic supporters accepts anthropogenic climate change and they believe that government has a responsibility to do something about it. This view is becoming increasingly prevalent among Republican voters. The majority of Republicans now say that they support climate action. Even some Republican presidential contenders are realizing that denial is politically untenable.